Ideas, inspiration blogs, people, tools and more! We’ve searched and searched to bring you 101 links to some of the best things in the data design and data visualisation world. Most are free (or freemium); all are totally useful. If we’ve missed anything great, be sure to add it in the comments! From the complete newbie to seasoned designers and coders, we hope there’s something for everyone. Some of what we have is technical, some instructional; there’s software and then there are heaps of free resources like image libraries that help compliment great data design. So, without further ado, in no particular order, here they are…! 1. The Do’s & Dont’s of Infographic Design – This post from Smashing Magazine shows some of the key things to do and definitely those you should not do to your lovely infographic. 2. Brewer Palettes – A great introduction on how to pick colour palettes for the best effect and why. We’ve included quite a few tools for choosing colour pallets later on in this post so getting your theory down first is a good idea. 3. Interactive Data Visualisation for the Web Ebook – The name says it all: this is a pretty comprehensive ebook on how to get started using JS and interactive code libraries like d3.js on the web. 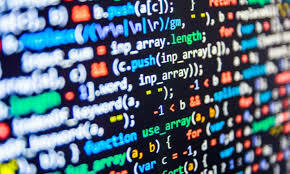 Covers CSS & HTML, DOM, Content plus structure, images, data, Python, Layouts, Json, GeoJson, Choropleths, MAMP, WAMP, LAMP (yeah, I had to Google those, too), Geomapping, exporting files. Like I said, the name pretty much sums it up. 4. The Pros and Cons of Using A Microsite For Your Business – We’re pretty firmly in the “‘do it!’ camp”, but we also know that microsites aren’t magic and if your content is boring on paper, dressing it up in a microsite probably won’t change that. But don’t just take my word for it, read this blog! 5. How to Choose the Right Chart or Graph for Your Data – If you want your data to be read and understood, you first need to know how to present your data . This guide will take you through everything you need to know about charts versus graphs and your data. 6. How to Make Infographics – A Beginner’s Guide – You can thank The Guardian for this one. This article will take you through the very basics of infographics and data visualisation. It’s a great resource if you’re still learning the dataviz ropes. 7. Data Viz Catalogue – If you’re looking for inspiration, alternative chart types, or you’re trying to find the right chart for a difficult report, then check out Data Viz Catalogue. It’s got a library of charts, from simple to complex that can answer most chart- and graph-related questions. 8. Datadvisualisation.ch – This is probably one of the best resources for all things data viz on the web. This link will get you to the chart section but we encourage you to explore the whole site as it’s pretty great. 11. Ploty.ly – With its free version, this web-based interface allows you to create simple interactive charts based on d3.js. 12. uvCharts – A nifty little tool, uvCharts is both easy to use and free! Winning! 13. Modest Maps – A free resource and library for designing interactive maps, Modest Maps tries to be accessible for amateur coders and developers. 15. Kartograph – Another mapping option, this one comes with a few option including a Python & JS library. 16. 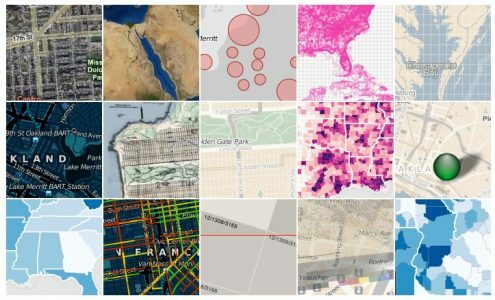 Carto (formerly CartoDB) – Our go-to option for interactive maps. Has a paid version but is one of the best mapping libraries out there. 17. Mapbox – With their help, Mapbox boast you can ‘add location into any application with our mapping, navigation, and location search SDKs’. 18. Instant Atlas – A software bundle for Microsoft Windows, Instant Atlas is a hosted service providing data and metadata storage, user management and a customisable web front end. 19. Mapline – A freemium version with other options and more features, Mapline is designed for Excel interaction. 20. Mapsdata.co.uk – A great simple mapping tool designed for the non-technical with an interface that allows you to add data via a web interface. 21. David McCandless – One of the biggest names in the data viz world, David is known for his book Information Is Beautiful and his work with The Guardian UK. 22. Stephen Few – Best known for his work on dashboards and how to consume information from a business analytics view. 23. Nicholas Felton – Information and infographic designer with some particularly cool work in annual reporting. 24. Alberto Cairo – writer, artist, podcaster. 25. Nathan Yau – Author of Flowing Data, data visualiser, and statistician whose work often focuses on the large-scale statistical data and how to visualise it through technology like R & Tableau. 26. Edward Tufte – Pioneer and prolific writer in the data visualisation and information design fields (arguably its founder or first champion). 27. 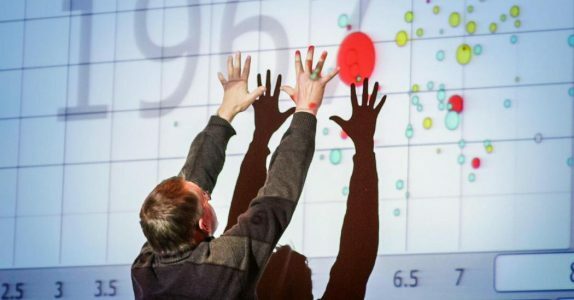 Hans Rosling – A statistician and physician who can inspire anyone to fall in love with data visualisation. Check out his TED talks for a massive hit of data viz inspiration. 28. InformationIsBeautiful.net – David McCandless, mentioned above, is a data viz heavyweight who notes his pet hate is pie charts. Here, you won’t find a single one. Instead, browse this stunning site where David and his team “distil the world’s data, information and knowledge into beautiful and useful graphics & diagrams.” Take a look, get inspired, and get back to your own data viz making! 29. 20 Animated and Interactive Infographics You Have To See – As the title of this one suggests, you just have to see these infographics. You have to. Quick! Go now! Hurry! 30. Animated Interactive Infographics – A list of 20 very cool interactives. 31. Tableau Viz of the Day – The best use of Tableau, updated each and every day. 32. CoolInfographics.com – Just a great blog dedicated to some pretty cool infographics. 33. Behance.net – An Adobe venture, this site is like a big online gallery dedicated to discovering and showcasing new work. 34. Creative Bloq – Dedicated to all things art and design inspiration, this link will take you right to 100 great infographics. 35. Pinterest – Sounds obvious but this really is an amazing way to search and catalogue great ideas or inspirations. The link goes to one of our boards so you can see how we use it in the agency. 36. 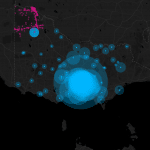 Twitter – See what the Twitterverse is saying by tracking the ever-popular #dataviz hashtag. 37. Piktochart – Get visual and make your own infographics with this easy online tool. 38. Venngage – A free, online template-based tool to help you make your own infographics. 39. Canva – An easy drag-and-drop tool. Free, too! 40. 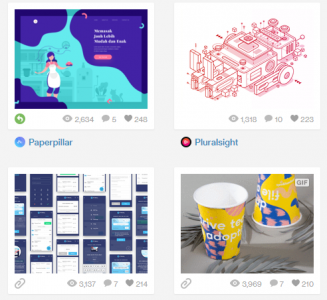 Easel.ly – A place to create and share your visual ideas with the world. 41. Vizualize.me – Ever wanted to create a visualised version of your resume? Now you can. 42. Infogram.com – Create infographics and charts online. 43. Visme.co – … You get the drill. Dribble’s landing page – clean and crisp! 44. Pixabay – Hosts a bunch of free photos, images, and backgrounds for all your data viz needs! 45. Canva – Canva offers a whole array of free stock photos; check them out here. 46. Dribble – An online image gallery, popular with designers to upload their own content and discover the world’s. 47. Pinterest – We know what you’re thinking… Everyone and their mother has a Pinterest. So? It’s still a great tool when it comes to data viz! 48. Weheartit – Get inspired by everyone else’s favourite collections. 49. Pearltrees – Organise all your favourite images and interests using this handy online tool. 50. Designschool.canva – Check out this Canva blog for a list of 73 sites to find free images for your site or blog. 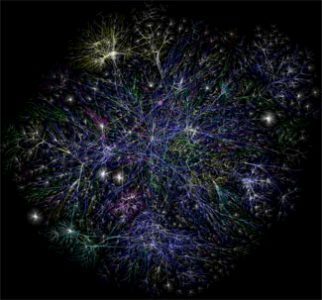 The internet is a giant source of information… Use it! 51. Martin Krzywinski Brewer Palettes – This thorough explanation takes you through everything you need to know about Brewer palettes. 52. Interactive Data Visualization for the Web – Who needs to go to the library? This freely accessible online ebook is a great resource for learning the ins and outs of data viz for the web. 53. What the Hell is a Microsite and Why Do I Need One? – If you’ve ever wondered this, this article’s for you. 54. The Best Stats You’ll Ever See – This TED talk, presented by the great late Hans Rosling will make you fall in love with all things stats, big data, and data viz. All. Over. Again. 55. The Beauty of Data Visualisation – If you’re still doubting the importance and magic of numbers, this TED talk is ought to get you re-inspired. 56. Making Data Mean More Through Storytelling – Who says YouTube is just for cat videos?? 57. Choosing Colours for Data Visualisation – This easy ten-pager will give you a great headstart when it comes to picking colours for your project or design. 58. 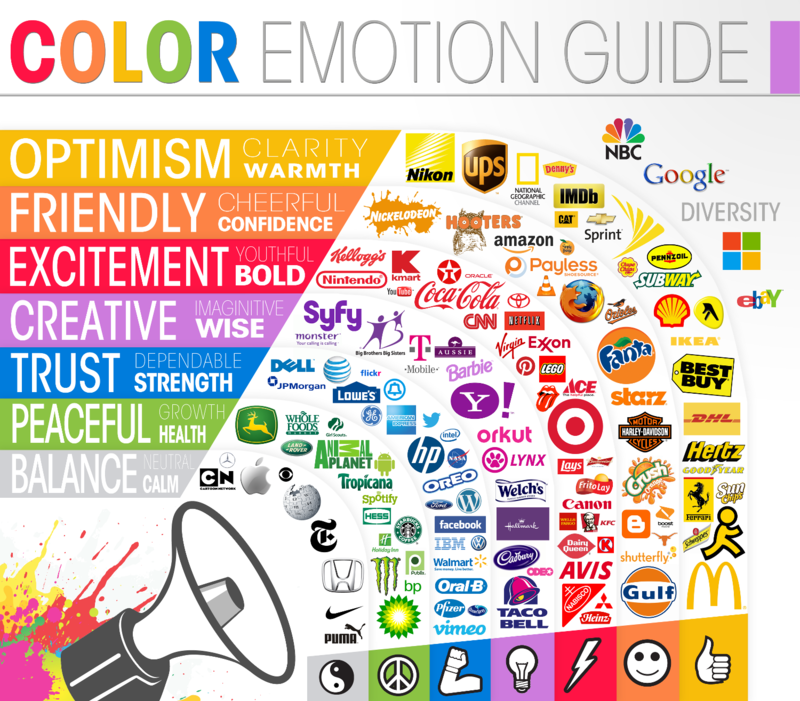 The Colour Emotion Guide – A handy visual guide to ensure your colour-to-emotion relation is right. 59. 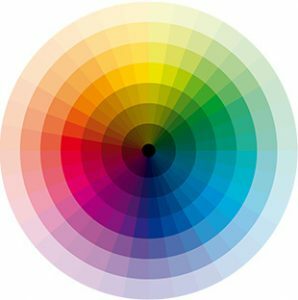 A Friendly Guide to Colors in Data Visualizations – Another guide for colours in data viz. Now more friendly! 60. Colorpicker for Data – This fun little tool helps you visualise your colour choices. A great way of passing the time… Uh, we mean, choosing the right colours for the project you’re working on. 61. Color Oracle – Designed for the colour impaired, Color Oracle is a free – and fabulous – colour blindness simulator. 62. Color Scheme Designer – Scheme with colours, you designer, you. 63. Color Hunt – Browse beautiful colour palettes for inspiration for your own projects. 64. 11 of the Best Microsite Examples – This article will take you through some stellar microsite examples for guidance and inspiration. 65. Microsite.com – Build your first microsite with the help of, you got it, microsite.com! 66. Build an Engaging Interactive Microsite – This blog will take you through the steps needed to create an engaging and interactive microsite. 67. 17 Great Microsite Examples for Driving Buyer Interest – Get learnin’! 68. How to Read Your Website Source Code and Why It’s Important – If you’re building your own site, this guide should prove quite helpful. 69. Beginners Guide to Learn Data Visualization – If you’re a newbie, this how-to is for you! 70. 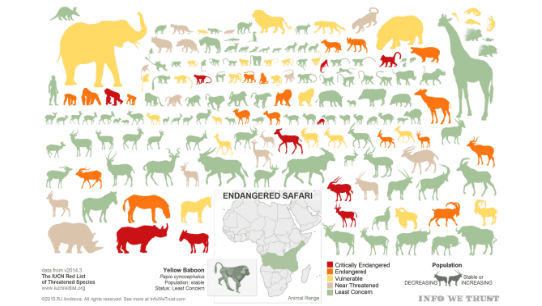 A Beginner’s Guide to Infographics – It’s DataViz101. 71. How To Credit Images on Your Website – A handy visual guide if you’re ever unsure. 72. 5 Brilliant Microsites and Why They’re So Effective – If you’re in need of knowing the hows and whys and not just the here they ares when it comes to microsites, this is a must-read. 73. Introduction to Data Visualisation: Chart Dos and Donts – And now you know. 74. Get Started With Google Fonts API – Get the Google run-through. 75. Google Fonts – … And then get with Google. 76. Font Pair – A handy little helper for Google Fonts, Font Pair will pair different Google Fonts together. 77. Font Space – Never try and pick between Arial and Arial Black again. Find and download a whole array of free fonts at Font Space. 78. DaFont – Another library of free fonts for your choosing! 79. Urban Fonts – Fonts that are urban. No country-dwellers allowed. 80. Free Font – We love free, don’t you? 81. Font Squirrel – Free fonts – and for commercial use, too! No free squirrels, though. :/ Disappointed. 83. Tableau – If you don’t already know the name, get used to it. Tableau is the heavyweight data viz champion of the world, and their products and software can help companies and data visualisers alike. 84. Cliq – Try or buy Qlik for a great service for all your visual analytics needs. They’re a big gun in the land of data viz and analytics, although using Qliq does come with a price… It’s money. The price is money. 85. Fusion Charts – If you’re a charts man, or woman, Fusion Charts is for you, offering you ‘full control over the aesthetics and behaviour’ of your charts. While it’s not free, there is a free trial version of this software. 86. NodeBox – Offering a whole family of tools, NodeBox is an open-source project of data viz goodies for all your creative needs. 87. R-Project – If you’re all about stats and graphics, this tool is for you. R is free software and describes itself as ‘a language and environment for statistical computing and graphics’. It also likes long walks on the beach. 88. ColorZilla – A browser extension for Chrome and Firefox, ColorZilla will bring a little colour into your life. 89. How to Create Test Data – Are you in need of test data? Need no more! 90. The Coding Train – Ever wanted to learn how to code? Or do you need to know? Learn how with the help of YouTube videos. 91. Mockaroo – A random data generator and an API mocking tool, Mockaroo lets you create custom CSV, JSON, SQL, and Excel datasets to test and demo your software. 92. Pixlr – An online photo editor, Pixlr runs via web apps and features free fonts and free graphics. 93. Lovely Charts – If you want to make a chart, we won’t stop you – and Lovely Charts offers their service as a ‘diagramming application’ to turn your numbers into… well, a lovely chart! 94. Building Your First Webpage – Learning to Code – If coding is something you need or want to do for your website, this guide will teach you how to get started. 96. SMILE Widgets – SMILE Widgets are free, open-source friends that will help you in your time of (data visualisation) need. 97. RAWGraphs – For all things spreadsheets, RAWGraphs allow you to copy and paste your data, choose a visual model, explore your data visualisation, then export it ready to go! 100. 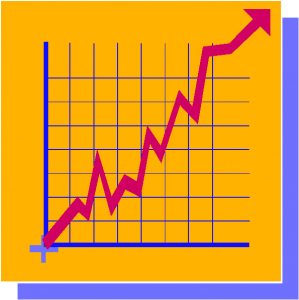 Google Charts – Use the simplicity and ease of Google to bring your data to your website with Google Charts. For last but not least, we have, at long last, reached no. 101 in our list of 101 brilliant, amazing, useful, glorious, fan-tas-tic-o data visualisation resources…. Hey, we’re here all night!